The ocean is permanently in motion and exchanges large quantities of heat with the atmosphere, thus playing a major role in climate. It is responsible for around half of poleward heat transport. 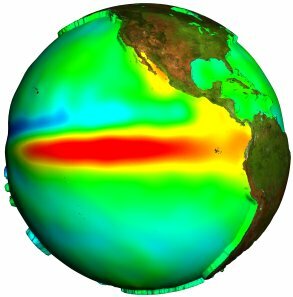 From the seasonal to the decadal, or even the centennial timeframe, the ocean’s influence upon the atmosphere is one of the keys to climate forecasting, including events such as El Niño. 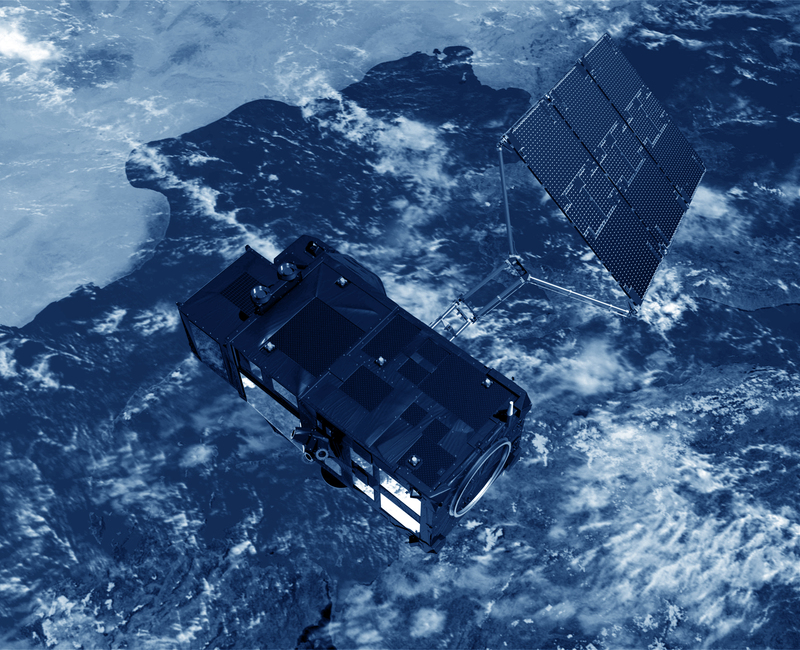 Altimetry is one of the most important tools for monitoring ocean dynamics, and as such is a source of vital data for including in forecasting models of ocean-atmosphere coupled events such as El Niño, monsoons, the North Atlantic Oscillation or decadal oscillations. Seasonal climate forecasting is also beginning to show interesting results. The oceans are in turn affected by climate variations, as the sea level rises and falls in response to their fluctuations.